We have specialized in luxury travel to New Zealand for 27+ years. 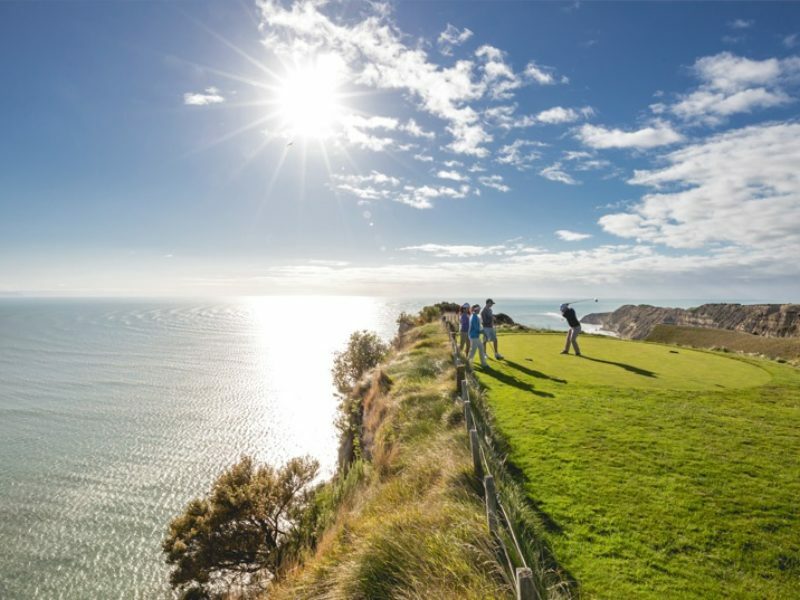 The Best of New Zealand Golf is a boutique travel company that markets iconic and exclusive New Zealand golf and luxury accommodations. We provide a high level of personal service, professionalism and attention to detail – the result is an itinerary tailored to the specific needs of each individual client. For 27+ years our team has hand-picked select properties to provide clients a true Kiwi experience. In order to maintain the highest level of quality we continuously review accommodations and courses. We believe your travel to New Zealand, and time within the country, should be filled with great memories and experiences to be shared for years to come. Our objective is to turn good holidays into great ones by providing a well-planned and well-executed travel experience. Years of close relationships throughout New Zealand allow us to provide you with better vacation options- including pricing for travel, accommodations, and activities. Many golfing holidays incorporate more than simply rounds at top courses. Our aim is to deliver an authentic Kiwi experience so you too understand the charm and beauty of this special country. Planning a trip to New Zealand? 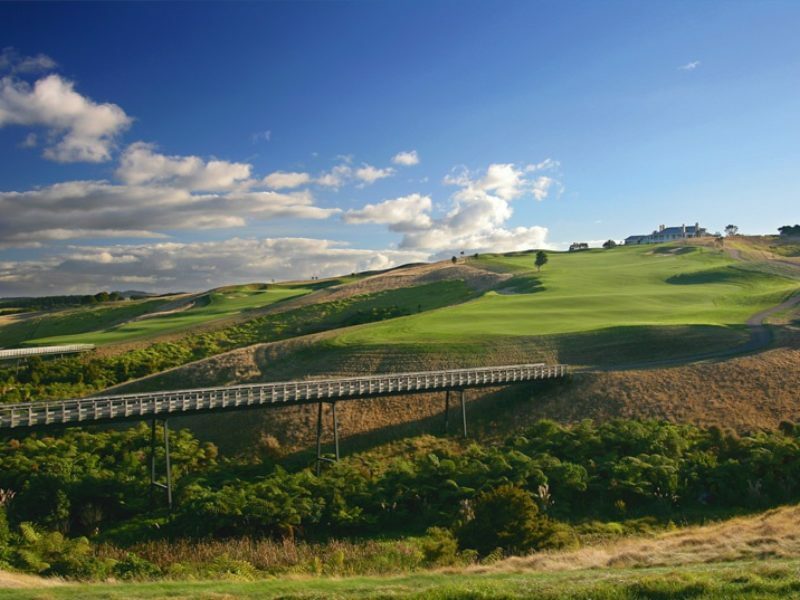 The Best of NZ Golf team is a 100% professional travel agency comprised of Kiwis, Fijians and a even a few Americans! Our combined 100+ years of experience creating customized itineraries to New Zealand removes speculation out of planning and helps you make the right travel decisions from the outset. Contact us and please let us know how we may serve you. Your time is valuable and your time in New Zealand should be used efficiently. We have worked with parties of all sizes: PGA professionals and club members, couples, and small groups of families and friends. Your trip is tailored to your needs. 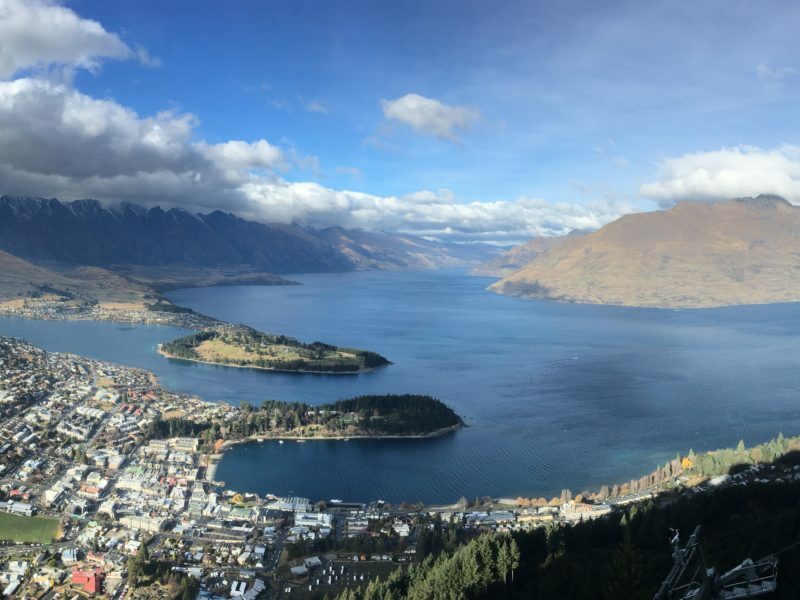 Years of knowledge and direct relationships throughout New Zealand allow us to provide you with better options and pricing for travel, accommodations, and activities. 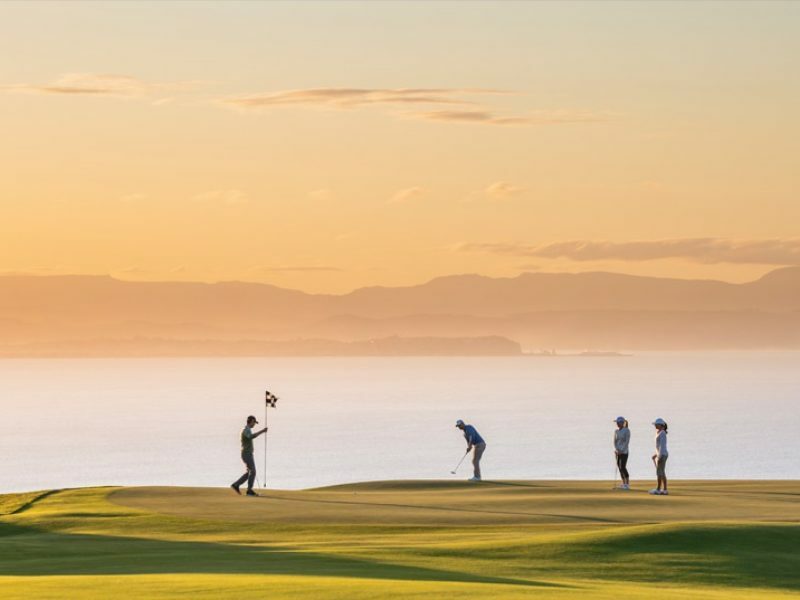 New Zealand affords golfers with an opportunity to experience true Kiwi authenticity- from world-renown courses to those which pay homage to a more legacy experience. We accommodate travel and the broader idea of an inclusive itinerary. We had a spectacular time on our trip after leaving Port Douglas and all the arrangements that you made for us came off without a hitch. All flights and transportation that you arranged were on time and we were well taken care of at all the places we went to. The Boatshed was incredible. We met Johnathan and had a small dinner with him on our second night. We were the only guests at the hotel and he and his staff just made us feel right at home. Jack and Jen, Johnathan’s staff, took us out to a couple of wineries and we had lunch together. When we got back Johnathan treated us to dinner prepared by his own self. Fantastic. Next up was Napier/Hastings and the Craggy Range cottage. Excellent choice for us. We were close enough to Havelock North to be able to easily drive into the town and wander around. We went and played Cape Kidnapers as well. The course was wet so no carts were allowed out. Craggy Range winery was great to us and we had dinner at Terroire. Great staff and good eats to be sure. On to Queenstown. What a wonderfully European feel Queenstown had. Small intimate streets and people all over the place. The Spire was perfect for us. Florence greeted us and was superlative in her suggestions and ideas for us to do. We did take a plane ride out to Milford Sound and the cruise. We went wine tasting and went to Amisfield for lunch where there was a spectacular sunset. It was so good that the staff came outside to take pictures. Simply wonderful. We took the gondola ride up the hill and enjoyed a glass of champagne while we took in the view. That was our last day and really enjoyable. We left the next day and flew back home. Again, all the arrangements you made of us came off without a hitch. I even drove on the left side of the road without incident. It’s not so bad once you figure out the roundabouts. Thanks to you and your team for setting this up. Will highly recommend this service to our friends should they need to journey down under. High atop a windswept plateau, this former farmland is now a championship style course and boutique resort. With the Pacific Ocean and famed gannet colony the 5,000-acre property allows guests to experience true Kiwi rugged and rural luxury. 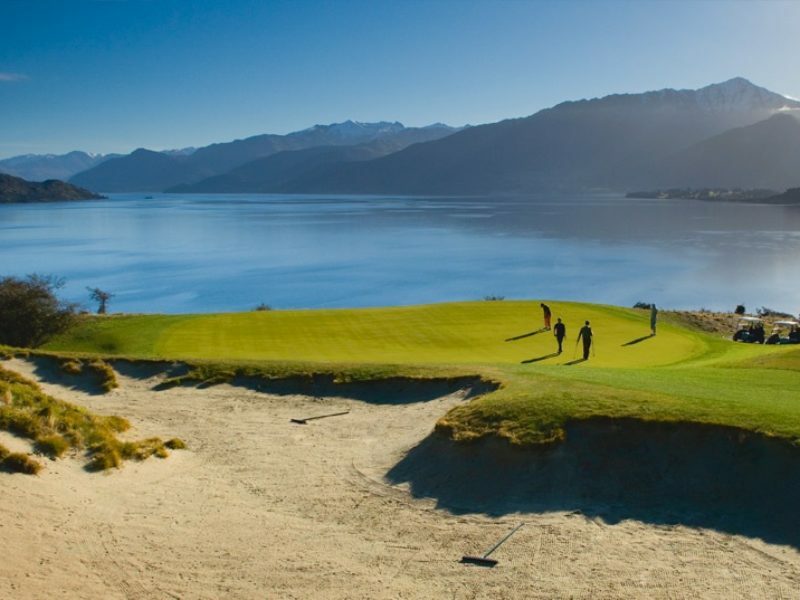 Nestled amongst the Remarkables and jutting into Lake Wakatipu Jack's point boasts of spectacular golf conveniently located just outside of Queenstown. 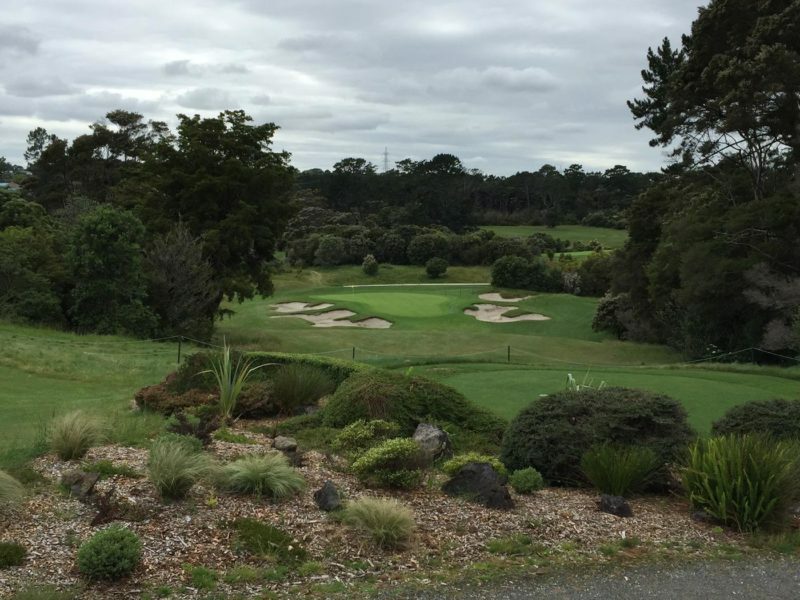 With fifteen holes either along side the Pacific Ocean or played from a commanding view, Kauri Cliffs remains one of the top destinations for golf in New Zealand, and one of the most beautiful in the world.